Our team created the following spa packages that offer pampering and relaxation. They are also ideal for Christmas Gift starting from €35 per person. All packages includes an All-Inclusive Buffet Lunch together with use of spa facilities and free car parl. 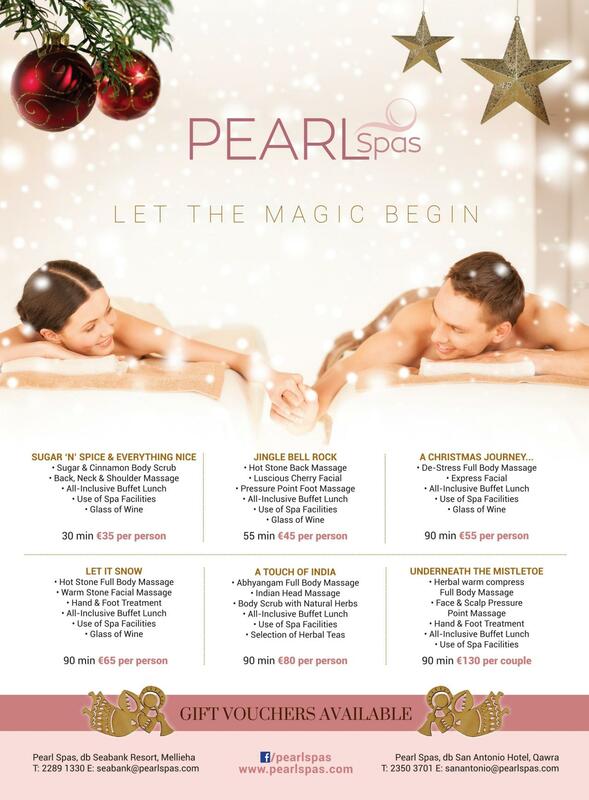 Call our Pearl Spas on T:2350 3701 or email our spa on sanantonio@pearlspas.com for further details.